Your kitchen is likely the most frequently used room in your home. Your family and your guests are more apt to congregate in the kitchen than anywhere else in your home. Indeed, you might have the most amazing great room, entertainment center, or rec room. Nonetheless, your kitchen is the space where folks are most comfortable coming together. 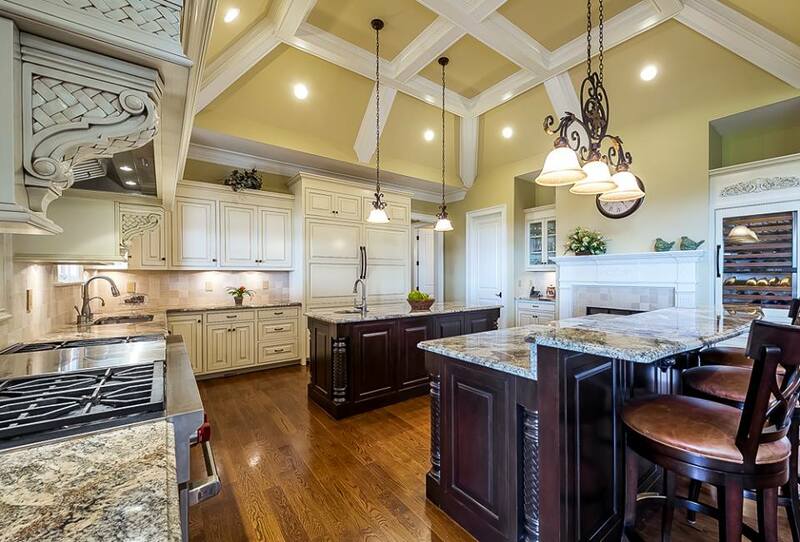 It may be time to consider hiring a professional interior designer for your kitchen remodel. Understanding the importance, and popularity, of your kitchen, you understandably want to make the best presentation in that space as is possible. With this in mind, you may be contemplating renovating a kitchen. There are a number of tasks you may want to consider undertaking when it comes to giving you kitchen a new look. A basic step that you may want to consider taking for your kitchen is the installation of a new sink. The installation of a new sink is an ideal starting point for two reasons. First, a smart looking sink can improve the overall look and appearance of your kitchen. Second, you can select a new sink that is more functional than an older derivation that may have been in place for years. A drop-in sink is a kitchen is the easiest version to install. A drop-in kitchen sink is designed to easily fit into a designated space in the countertop. The rim of the sink extends outward in a way that allows it to rest on the countertop itself. Clamps positioned underneath the sink to permit it to rest in place more securely. In addition to being easy to install, drop-in sinks also come in affordable price ranges. If you are operating on a bit of a restricted budget, a drop-in sink may prove to be the best option for you. As the name surely suggests, an undermount kitchen sink is one that attaches to a countertop from underneath rather than on the surface. The manner in which this type of sink attaches results in a sleeker look in a kitchen. The design and manner in which an undermount sink is installed can be more expensive than the drop-in sink. Therefore, you need to allocate a bit more in your budget. The real benefit of a dual mount sink is that it provides you a great deal of flexibility when it comes to your selection of an associated countertop, if you intend to do a more extensive remodel in your kitchen. A dual mount kitchen sink can be installed as a drop-in or undermount sink. A dual mount sink, with its two basins, is also highly practical. For example, with a dual mount sink, you can tend to doing dishes more efficiently than tends to be the case with a single basin kitchen sink. Traditionally, a farmhouse sink is designed to sit slightly extended from the surrounding countertop. In addition, a farmhouse sink has a larger perimeter and typically is significantly deeper than the other types of kitchen sinks widely in use today. The design of a farmhouse sink renders if extremely versatile. Because of the volume of the sink, you can more easily tend to larger numbers of dishes at one time. You can also wash larger items used for cooking, baking, and general food preparation with ease in a farmhouse sink. Once you make a decision regarding the type of kitchen sink you want to use, you can contemplate other changes you might want to make to your kitchen. For example, you may want to update the countertops at the same time you install a new sink in your kitchen. Reconsidering the backshplash at the time you install a new kitchen sink and consider redoing the counters may also be a wise course to take. Upgrading or redoing these three elements in your kitchen truly will give the entire space an entirely new look and feel. 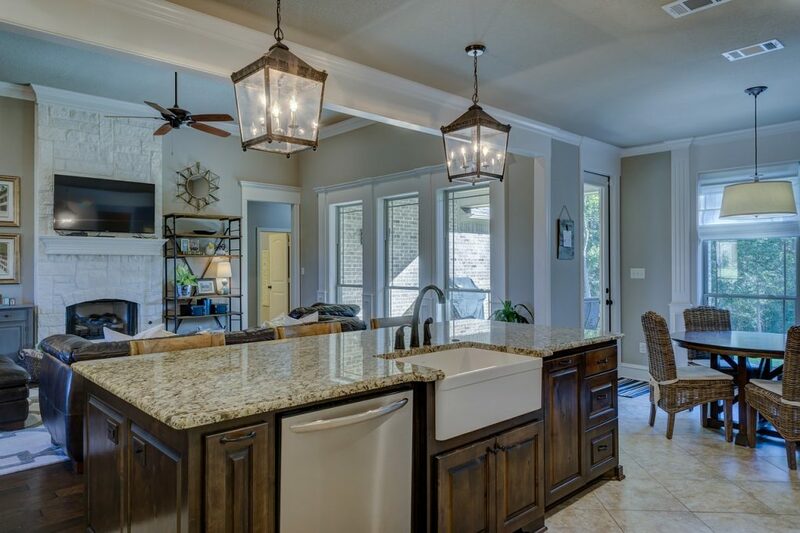 You will have taken steps that will result in a kitchen you will be understandably proud of when you spend time with your family or entertain guests. Jessica Kane writes for Plumbers Stock, the top choice of plumbing supply needs.